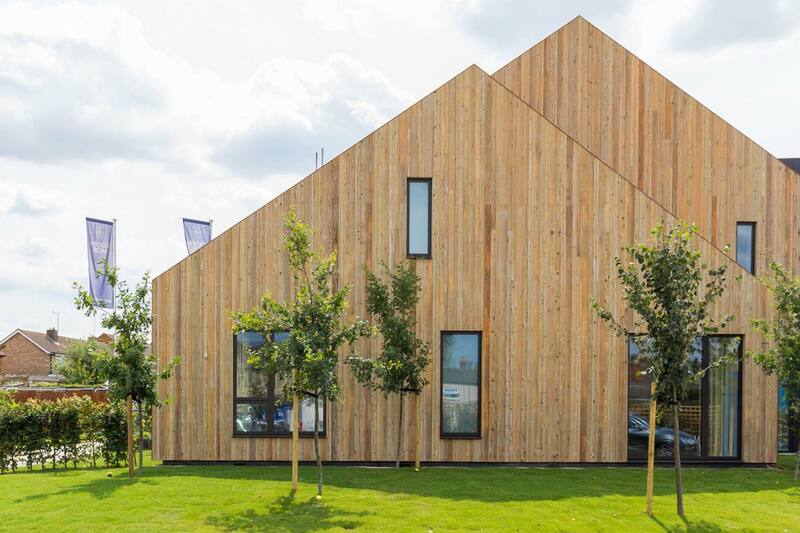 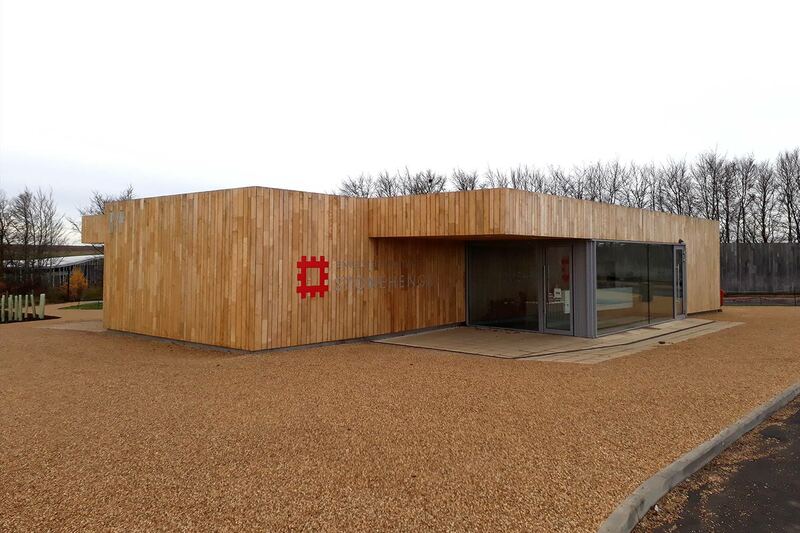 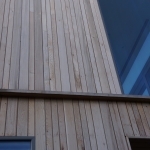 Timber Cladding Treatment: Sioo wood protector – Pre-coated in house before delivery to site. 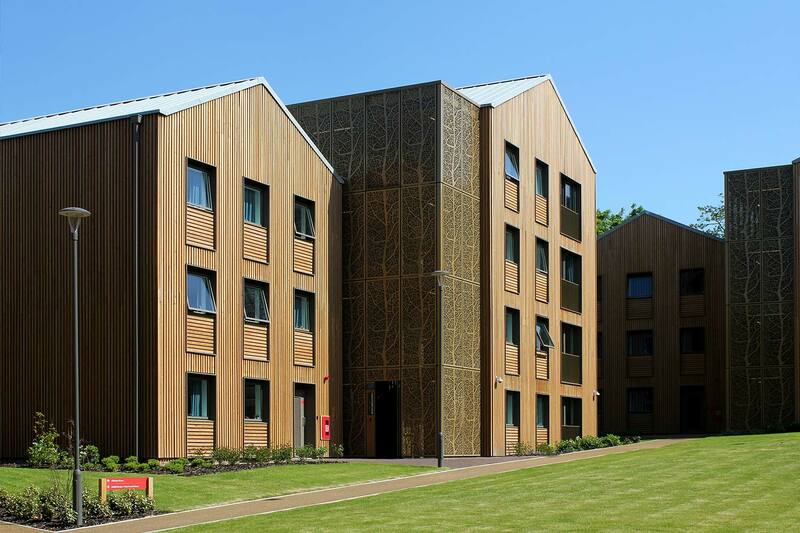 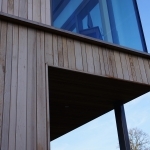 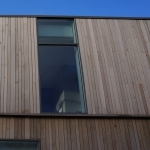 For this high end development Canadian Western Red Cedar was selected, with its characteristic of being naturally durable there is not a requirement to pre-treat this species. 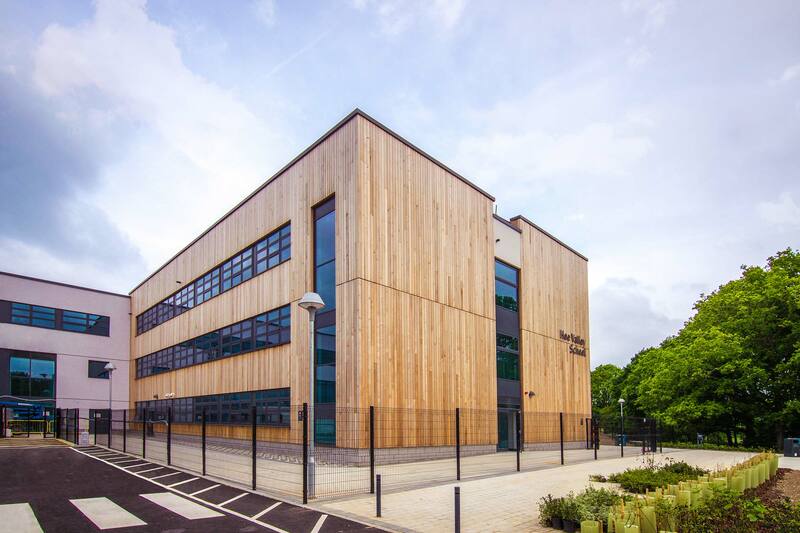 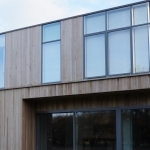 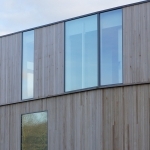 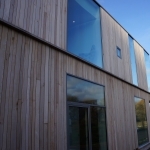 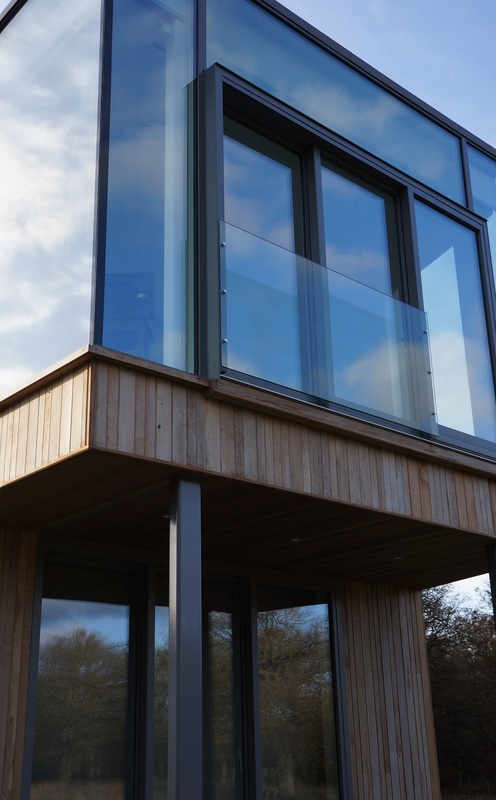 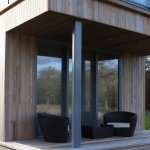 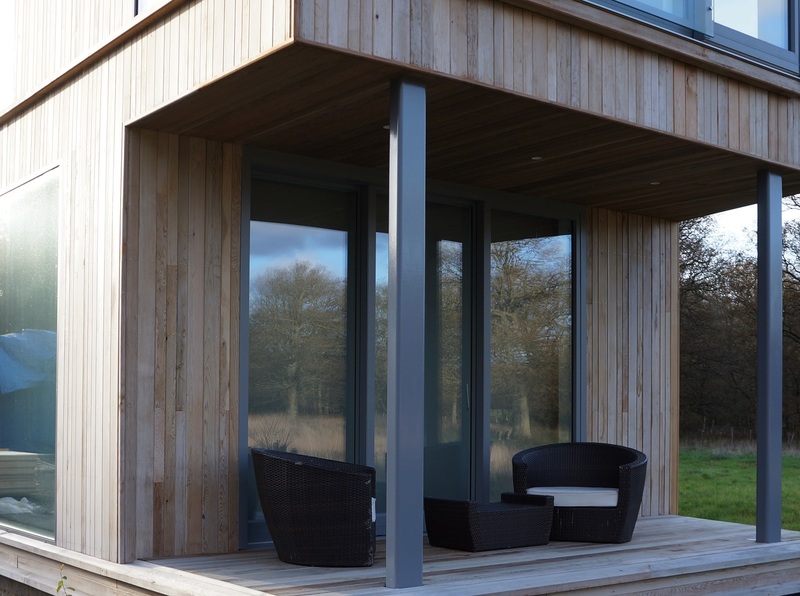 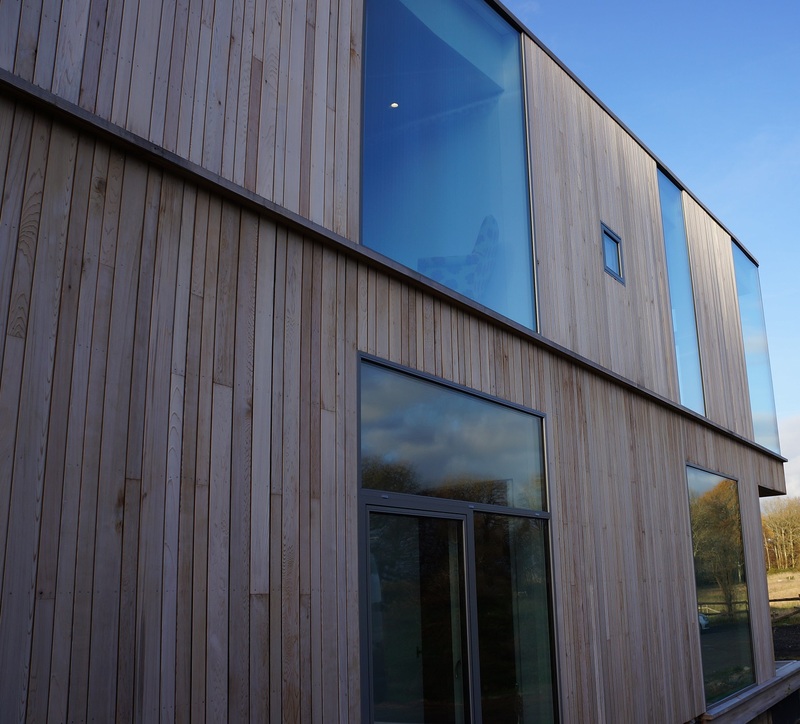 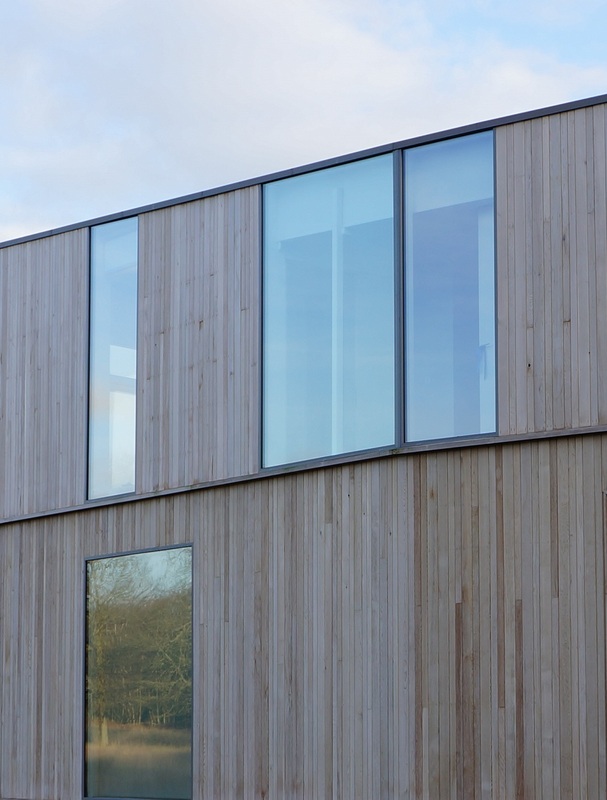 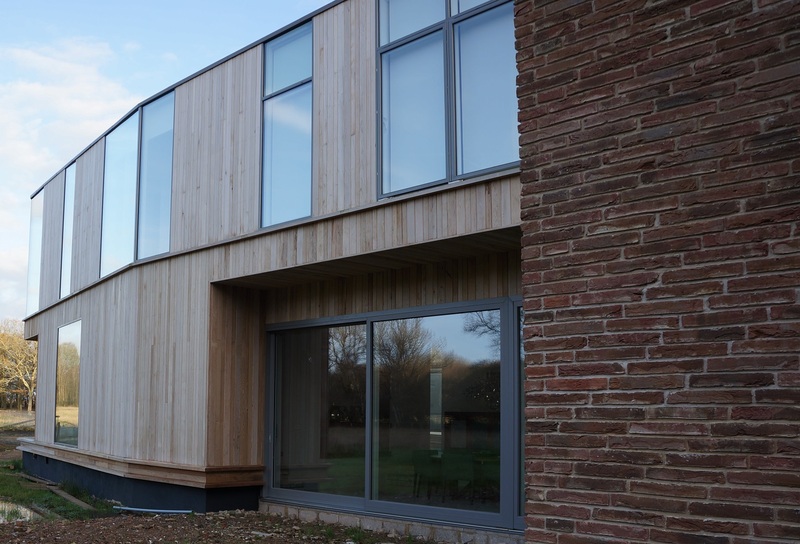 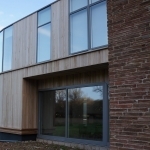 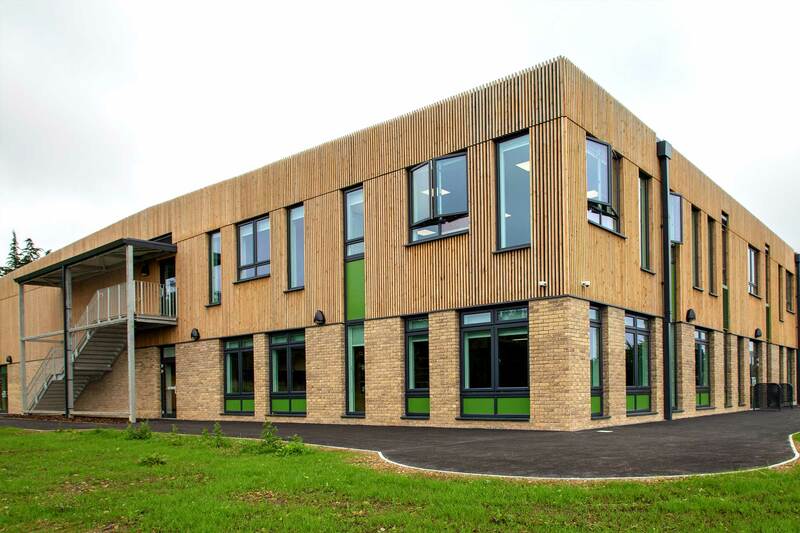 The client was after the ‘pre weathered’ silver/ grey look of Cedar – Sioo, a silicon based product speeds up the appearance of weathering. 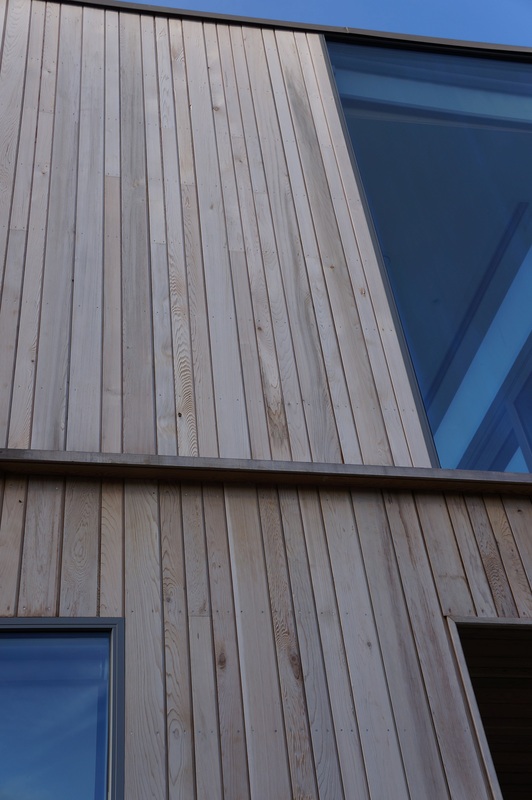 With the moisture in the air, Sioo will allow the timber to visually change in appearance as seen in the photos. 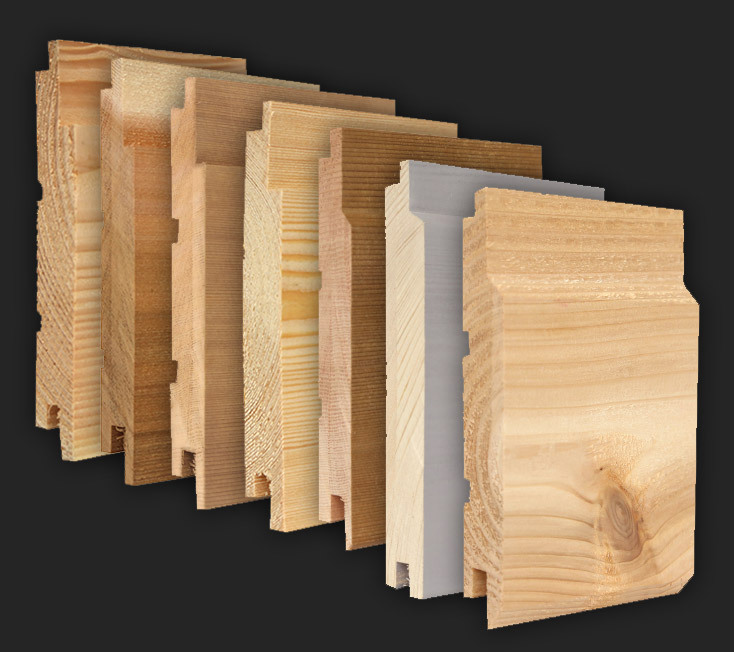 This process is much quicker than the natural weathering process of an uncoated example. 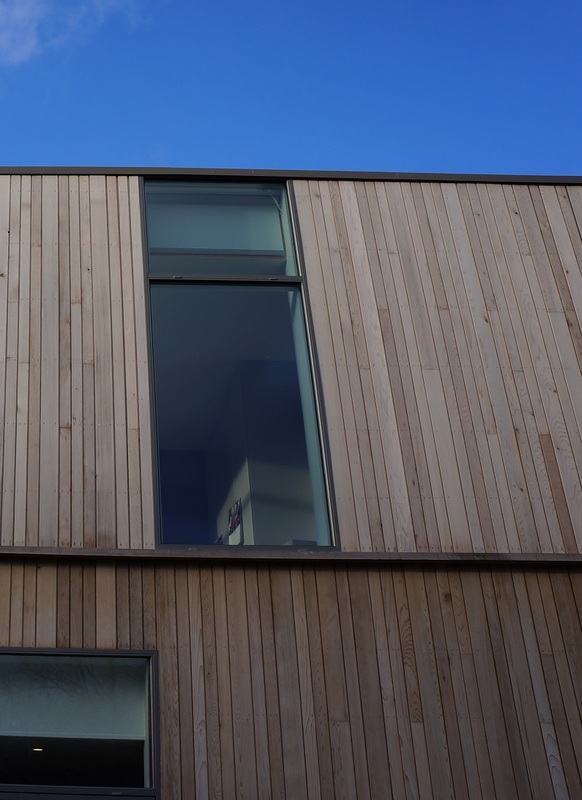 More importantly there is more uniformity in the colour change as the moisture in the air is causing the reaction, not the UV rays that Cedar normally weathers from. 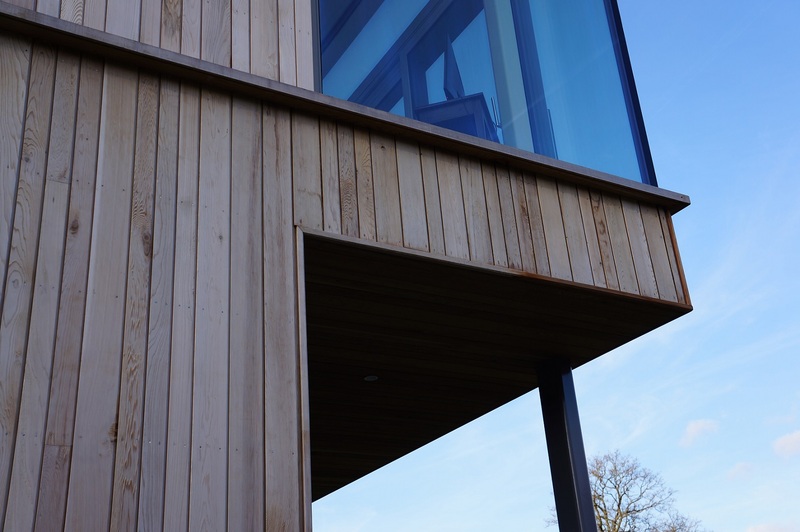 (Unsightly under overhangs and varying elevations) The photos below show the timber approximately 6 months after installation. 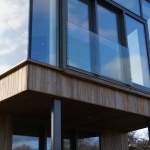 Decking: In a number of areas decking was specified on this project, Sioo can also be used on decking so the ‘show timber’ across the whole project could be from the same species with the same Sioo treatment.